As part of Gladys Bikes' initiative to show case their amazing and unique customers (and their custom bikes) I was hired to photograph a couple and the custom bike they share. 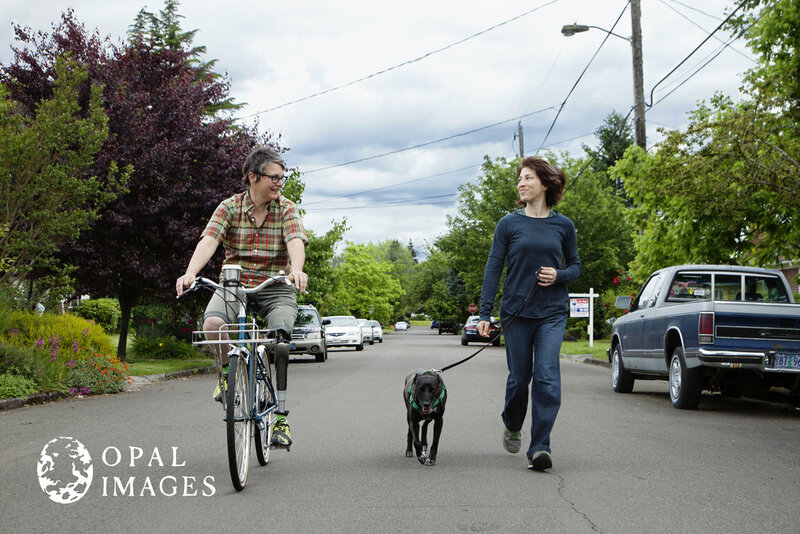 I was impressed by Gladys Bike's ability to create a bike that functioned as specifically as this couple needed it to. The seat height needed to adjust quickly and precisely to each partner's specific height. To add to the challenge, one of the partners had a prosthetic leg which needed a custom snap-in petal. 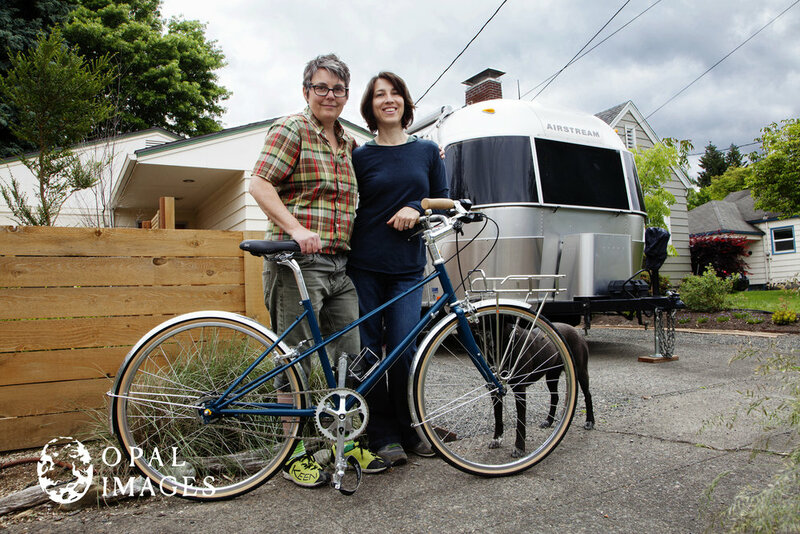 The couple picked out their own custom color, and the bike even had an adorable front rack (with cup holder!). This really is an all-purpose bike! 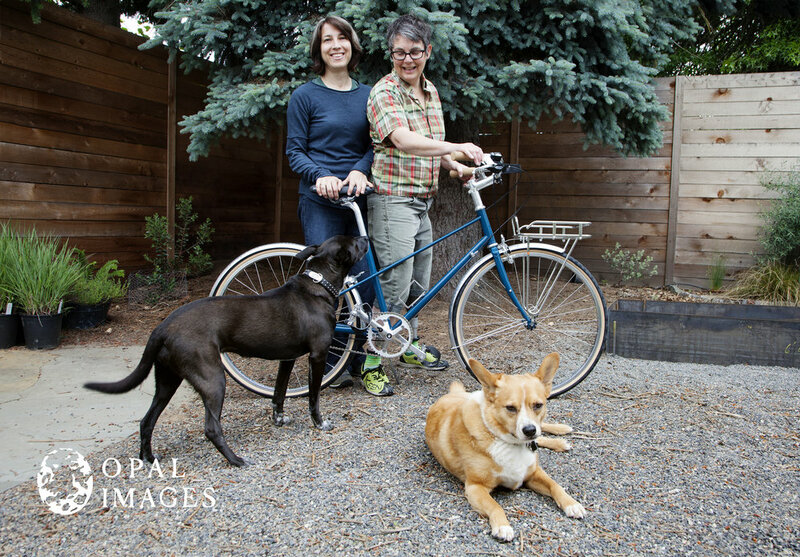 It was such a pleasure getting to know the couple and their playful dogs. Check out some of my favorite images below! Design Shoot in San Francisco!